Social Media is an incredible, efficient and affordable way to reach your market. This has changed the world of SEO and online marketing. This is one of the best ways for generating traffic and building long lasting relationships with the customers. In a survey, it is found that “An average person spends over 5 years of their life on Social Media.” So, plenty of opportunities are here to get your brand in front of the eyes of others. But the main question arises here is HOW? Well, the best way to get the attention to the customers is, regularly posting Engaging Content. But it is not all enough to spice up your business social media pages to drive better engagement. Even many marketers are found struggling with posting valuable content on social media to generate more traffic. But despite all these struggles, the Good news is that there are amazing social media content ideas that foster – likes, comments, shares, and clicks on your post. Today in this article I am going to share the fresh ideas for Social Media posts content sharing to attract and engage your marketers. To get more traffic and engaging customers you need to think strategically. All you need to get more creative with your content and this is the key to keep the customers interacting on your pages. For successful business in social media, a strong Brand is crucial. And there are varieties of the reason that proved it TRUE. Well, rather than simply having an eye-catch name and well-designed logo. You need to be more informative to build a positive reputation and a loyal following. So move forward and tell the true story of your brand. Providing your followers with an insight of Who, What, Why & How of your product will make a strong connection between you and your followers. 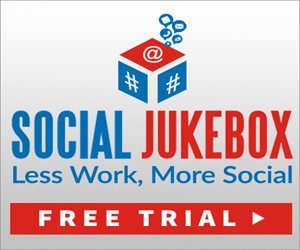 Try SlackSocial to promote your brand or business over the world of social media. This allows to easily manage content for more than one brand over various popular social media platforms. The biggest problem with blogs is that the quality content frequently gets the shuffle or mix up to make way for the new content. Whereas the good SEO can help Google to track good content and there is nothing wrong in reminding your readers with the good content by reposting them. The best way to do this is to check in Google Analytics to know which articles are the most engaging on your blog. Well, you can easily do this by making use of the Hootsuite – is a perfect tool that allows you to promote your content over various social media platforms and also offers scheduling to repost old content. Well, sharing motivational quotes or something inspiring will help you a lot. This helps you gather more followers as well as traffic. Everyone loves motivational quotes or speeches that inspire people to action. On social media, inspiration quotes are a big hit. And sharing them on your social media pages speak a lot about your brand as well as values. So share the quotes that exude your brand’s purpose and personality on social media. This doesn’t require becoming more creative in sharing images quotes. You can keep it simple by making use of the same template for the image quotes. 4. News and trends in your industry. Sharing news and trends in your industry is a great way to keep on the top. In social media there a lot of talk about the Experts that people listen and follow to stay on the top of what’s going on. Sharing information provided by others not only proves your regularity to stay current on what’s going on. But also builds connections with the customers as well as influencers. So if you are having blogs or other resources, which provide valuable, information and resources, in which your marketers get interested then don’t hesitate to share it. Sharing the valuable information latest news, trends will help you stay on the top in social media posts. Visuals are eye-catching and this is much more effective than reading anything. Videos are highly effective when your audience is scrolling through their news feed. From times it is proved that visuals help in improving engagement. In a research, it is found that videos are having 135 % greater organic search as compared to photos or reading blogs. 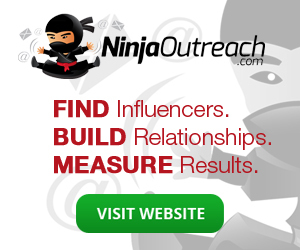 This helps you to genuinely connect with the followers and notably build awareness. As I said above visual have more effect than that of podcasts or reading something. So sharing infographics can be highly effective to gather more likes, shares, comments or in short TRAFFIC. Visual representation is the best way to show something. This is just like – you never buy a car without a test drive same as you would not buy a tool or product without seeing it how it works first. Infographics are the best way to display a step-by-step guide and as well share the ton of information by making use of visuals. This makes the boring statistics appealing and gives your audience an immediate look of your product or the information you are sharing. So, this is one of the best creative ideas for social media posts to engage more traffic as well as customers. To get maximum benefit you can try Post Planner, this helps in increasing the social media marketing activities and campaigns to promote your business. Posting questions are the simple and efficient way for creating engagement with your followers. Questions are highly appealing and can be anything, ranging from getting the opinion on the latest hot topics. This provides the opportunity to ask anything and helps to create the future content relevant to your market. It is not necessary that everything you share on the internet should be a blog post or an article. You can ask burning question related to your market or in fact sometimes funny to make your audience talking and engaging with one another. Well, apart from sharing your posts over social media and building connection. One other, highly effective way is the sharing guest posts that you have written on their site and vice-versa is the great way to build trust and popularity among your customers, followers. Guest posting on renowned domains helps to establish you as a thought-leader. This makes an opportunity to grow attracts more followers. Why don’t you try OnlyWire a content syndication tool, this helps in sending feeds to up to 50 Social sites giving users 35% powerful high PR backlinks from a various social media platform. Reporting on the trending topics or on the recent news shows that you remain active in your marketplace, this is very effective for growing the followers and highly creative ideas for social media post. This will position you as a go-to resource for the latest updates. However, while responding to a news topic, you need to focus on tying that particular trending news into the brand related message, which connects with the viewers and market. This makes your message significant and discloses more about the “who” behind your product or website. So, implement this creative idea for social media post and gather more traffic and hits on your brand. 10. What’s Your Next Move? This is a trick to engage more customers and followers on regular basis to your website. Just share your next move, some of your upcoming events, webinars, live meetings and next biggest launch on your social media pages and see the MAGIC. Providing updates, next moves keep your audience, followers in the know and provide a reason to stay connected with you and your brand. So what say isn’t it a GREAT idea for social media post to attract more visitors as well makes your audience attached with your brand only. 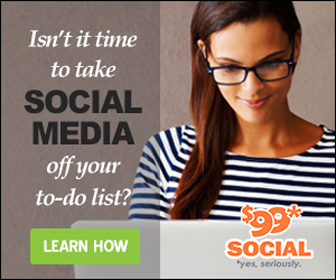 Try the 99 Dollar Social, this is a low-cost social media management tool to grow your business by leaps and bound. Well, this is the last killer and fresh idea for social media posting. In a survey, it is found that massive 88% of the people trust the online reviews than their personal recommendations. Adding testimonials is the biggest asset to your strategy; because this shows social proof that what you are doing is effectively working. The customer’s testimonials highly convince the followers, innovative users to try your product or the service because of the positive responses and user’s personal experiences. 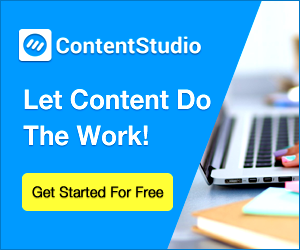 So, create a goal to build up a vault of customer testimonials and generated content by users. To get the maximum benefit shared this type of content on daily basis on your social networks. The more content establishes your brand, more likely the audience starts responding and engaging in your posts. There you go – 10 creative and fresh ideas for social media posts. Hope this can help you get through your creativity and grow your followers and your business as well. Also, let me know which idea is your favorite in the comment section below. Or, is there a tactic that has been working well for you or anything we missed. Then please share it with us. We love to hear it from you.